The Dow Jones Industrial Average jumped 45 points in pre-market trading after Advanced Data Processing announced the United States added 146,000 new jobs during the month of August. The report shows that even though private sector job growth has tailed off a bit, the employment market is extremely strong. Trade is back in focus. The United States may impose tariffs on another $200 billion of Chinese goods starting on Friday. This would mean that the U.S. is hitting about half of all Chinese imports entering the United States. The U.S. is currently placing tariffs on about $50 billion worth of Chinese goods. The Chinese government has placed similar levies on U.S. goods in retaliation. 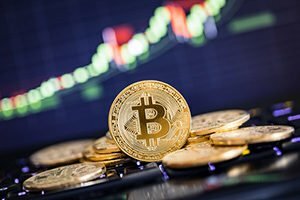 The price of Bitcoin plunged about $1,000 after Goldman Sachs Group Inc. (NYSE: GS) said it is rolling back plans to launch a cryptocurrency desk. Bitcoin was off about 10% this morning, while Ethereum fell roughly 13%. A story on Business Insider said that Goldman is increasingly uncertain about the potential regulatory landscape for the cryptocurrency industry. The decision walks back a path the company had considered back in October 2017 just before the frenzy began and pushed Bitcoin to nearly $20,000 per coin. Since then, Bitcoin prices have pulled back sharply. We are deep in earnings season. And if you're looking to make real money, the time to get started is now. Money Morning Quantitative Specialist Chris Johnson argues that the markets are at a tipping point. And with just a few smart plays in today's classic stock picker's market… you can pull in triple-digit gains with just a small investment. Read those picks right here. Tech stocks are facing pressures on concerns that Congress may hit the sector with privacy regulations. This week, Twitter Inc. (NYSE: TWTR) CEO Jack Dorsey and Facebook Inc. (Nasdaq: FB) executive Sheryl Sandberg testified before Congress on the efforts of foreign nations to influence the U.S. midterm elections in November. Shares of tech stocks have been sliding in the wake of Congressional scrutiny. Shares of Nike Inc. (NYSE: NKE) will be in focus on Thursday as the NFL season kicks off this evening. The company will air a new commercial featuring Colin Kaepernick during tonight's prime time game between the Atlanta Falcons and the Philadelphia Eagles. The new "Just Do It" campaign references Kaepernick's decision to kneel during the national anthem to protest police brutality in America, a decision that has effectively ended his NFL career. Look for earnings reports from Broadcom Inc. (Nasdaq: AVGO), Palo Alto Networks Inc. (Nasdaq: PANW), GameStop Corp. (NYSE: GME), Barnes & Noble Inc. (NYSE: BKS), Five Below Inc. (Nasdaq: FIVE), Finisar Corp. (Nasdaq: FNSR), and Malibu Boats Inc. (Nasdaq: MBUU).